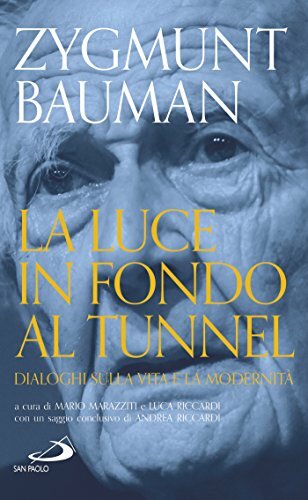 The book ‘The light at the end of the tunnel: Dialogues on life and modernity’ by Zygmunt Bauman, edited by Mario Marazziti and Luca Riccardi, was presented in the Benedetto XIII hall of the Community of Sant'Egidio. Marco Impagliazzo, Mario Calabresi, Valeria Fedeli and Vincenzo Paglia took part in the presentation. We publish the video of the event, made possible thanks to Radio Radicale. Globalization also produces injustice and social inequality. The migratory phenomena have now assumed global and in some cases epochal dimensions. The 21st century, until today, has been characterized by conflicts that have increased poverty in different areas of the world. In the opulent societies of the West the gap grows between the fearful rich and the desperate poor. To overcome the challenges of this historical phase it is crucial to regain the capacity for dialogue and the understanding of the value of man. In this context the encounter, both personal and of thought, between Zygmunt Bauman and Pope Francis took place. The volume contains the transcription of some of the speeches made by the famous Polish sociologist, theoretician of the liquid society, during the international meetings for peace "Men and Religions", promoted by the Community of Sant'Egidio. Also in the last years of his life, Zygmunt Bauman has never renounced to continue his lucid analysis of social and economic changes at the global level, offering everyone, through his sharp gaze, the possibility of glimpsing a path to the future. The volume includes his articulate interview, hitherto unpublished, conducted by Mario Marazziti in 2014: a summa of the scholar's thinking, a deep and lively dialogue, full of food for thought, a "compass" to orient oneself in the post-globalized world.